Home Unlabelled Get Rid of Toxins With Dry Brushing? Here`s HOW! Get Rid of Toxins With Dry Brushing? Here`s HOW! Toxins are tiny molecules, proteins or peptides capable of inflicting disease and infection upon inhalation, ingestion or absorption. They are present all around you. They are in the chemical-laced air you breathe, the preservative-rich foods you eat and the chemical-laden cosmetics you apply on your skin each day. Toxins can cause skin problems, neurological problems, reproductive diseases and several kinds of cancer. Moreover, they take a toll on your energy level, mood and overall performance. In a nutshell, an overload of toxins in the body can severely undermine the quality of your professional and personal life. Stand upright in your bathroom or in your bathtub. It is important to dry brush in your bathroom as you will be sloughed off a whole lot of dead cells and other impurities, and you do not want them clinging onto your Persian rug or contaminating the floor and air in your bedroom or living room. Also, make sure you stand away from your bath mat. 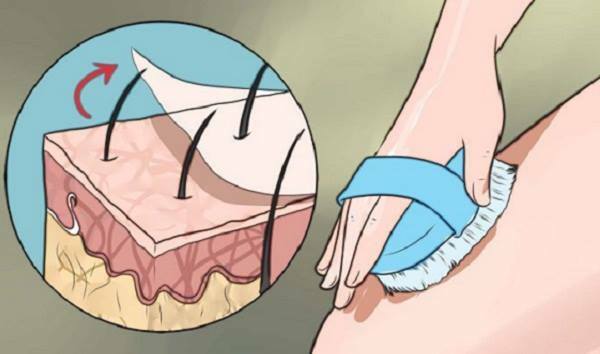 Start dry brushing your feet in brisk motions and make your way up, dry brushing the fronts and backs of your legs, thighs, lower abdomen, midsection, chest, back, arms (including the armpits) and shoulders. While brushing, make long sweeps and avoid back and forth motion. On your torso and back, use gentle circular motions. It is important to dry brush your way up and toward your cardiovascular system to promote a healthy lymph fluid movement. Dry brushing for at least 10 minutes is essential for effective detoxing. Take a long, warm bath after dry brushing. After the bath, rinse yourself under a cool shower.